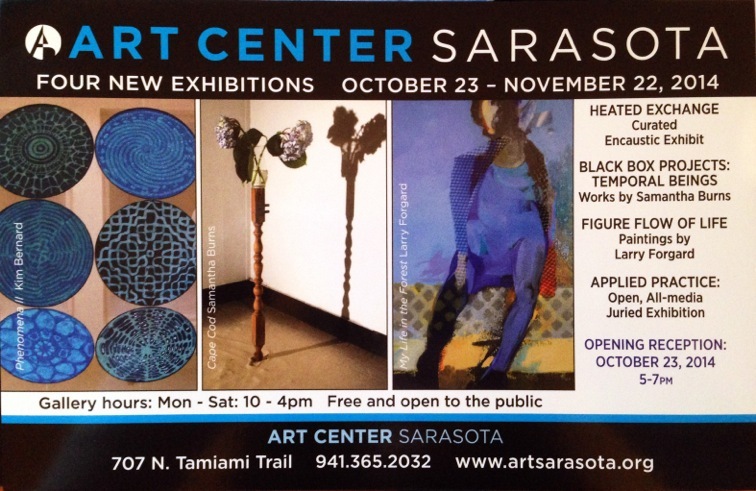 MFA ’14 graduate Samantha Burns, will have a solo exhibit as part of Black Box Projects at the Art Center Sarasota. This show will include drawings and installation based sculptures that explore concepts of trauma, recovery and time. Using man-made objects and natural plant elements, Samantha Burns creates time-sensitive installations that will change over the course of the exhibition as the natural elements deteriorate and the delicate balance of the works topples the structure created. 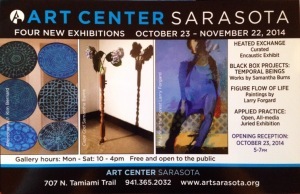 Show opening is October 23 5-7pm. The exhibition will be up until November 28, 2014.